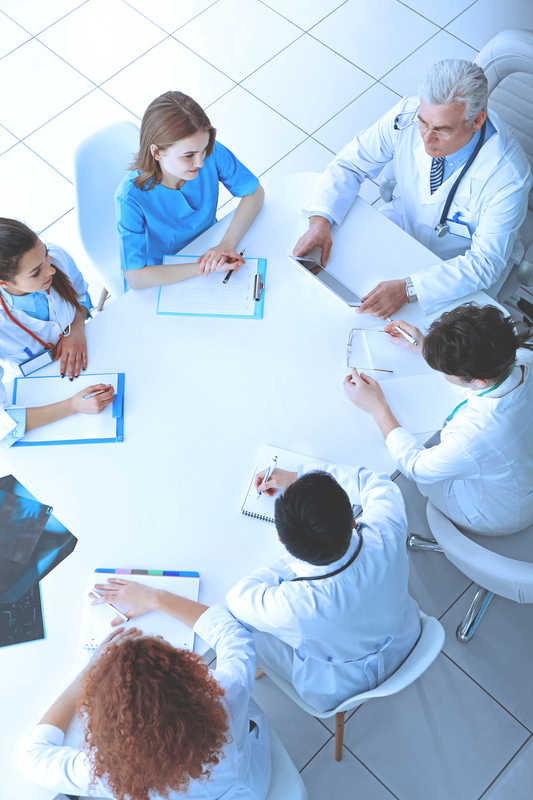 Collaborative medicine is a health care practice in which clinicians from different disciplines share roles and take collective responsibility for their patients’ healing and wellness. This philosophy has gained a significant amount of traction over the last decade thanks to both its effectiveness and efficiency. But how exactly does it benefit the health care system? Here’s what you need to know. In football, the players are in constant communication from kick-off to touchdown. They work together, so everyone knows what they’re supposed to do and the play can run smoothly. Health care teams need that same level of contact to ensure continuity of care. For example, nurses, doctors, and specialists must accurately relay information to other parties, or the patient may not receive the highest level of treatment. Likewise, clinicians may make medical errors if they don’t know the patient’s full medical history. Collaborative medicine reduces this risk, thus bettering clinical outcomes and controlling costs. Not only does collaboration enhance healing and wellness, but it also improves morale and workplace relations. Open communication makes medical professionals feel heard and valued which, in turn, inspires them to do their best work. Over time, it reduces the risk of clinician burnout—a long-term stress response caused by the emotional intensity and demanding pace of health care environments. What Does Collaborative Medicine Look Like? Team-Driven: The collaborative care team consists of a multidisciplinary group of clinicians delivering care in a coordinated fashion and at the top of their training. Population-Focused: The team is responsible for the health outcomes of a defined group of patients. Measurement-Guided: The team’s decisions are guided by scales and other measures that are systematic, disease-specific, and patient-reported. Evidence-Based: The team utilizes scientifically proven treatments within an individual clinical context to improve a patient’s health outcomes. Together, these characteristics ensure optimal healing and wellness—clinicians feel valued, patients are well-taken care of, and health care facilities run like a well-oiled machine. Metro Collaborative™ is a New York City-based organization that fosters collaboration between clinicians from both mainstream and alternative medicines. They host dinners, holistic workshops, and Caribbean retreats, all of which promote healing and wellness as well as encourage nationwide discussions about topics important to the health care community such as clinician burnout and referral networks. Visit their website to browse their upcoming events or call (212) 777-8949 to learn more.